I completely missed last Monday’s blog posting, In fact, i didn’t even remember until Thursday that I hadn’t written one. How do we go about changing habits so that they become subconcious…automatic. Here are five easy steps you can take to make it happen. 1. Enlist someone else to hold you accountable and to help you remember. 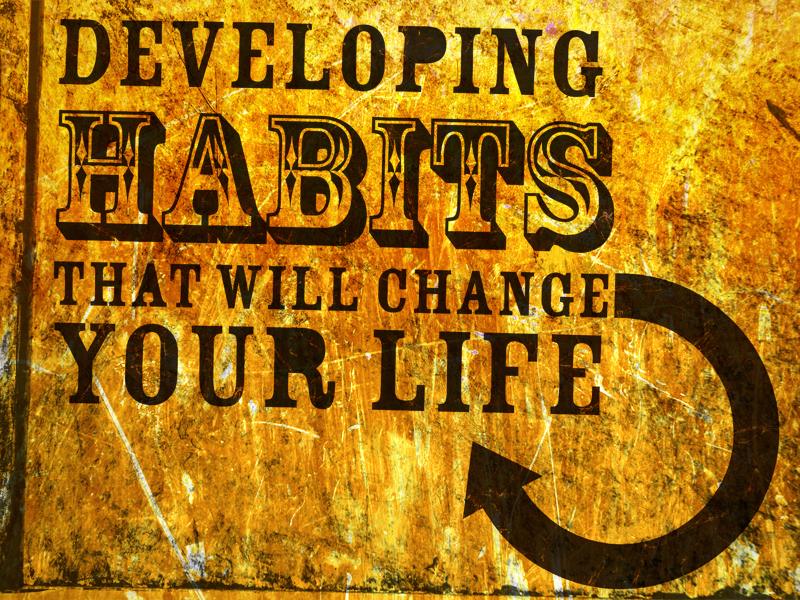 Although your habit change should be for you and because you want to change it, not for someone else. And because you believe it will enhance your life. 2. Write it down–on a post it note, your calendar, the mirror in your bathroom. It doesn’t matter where–except that you must see it without having to look for it. 3. At the beginning, it might be wise to pick a scheduled time to change the habit. While flexibility is good, it makes it harder to change the habit. 5. Give yourself a break if you make a mistake. Everyday is a new day. Just because you mess up, doesn’t mean you can’t begin again.